I've learned a lot since becoming debt free 7 years ago. Let me show you the debt repayment strategies I would use today if I had to do it all over again. You live, you learn, right? After paying off the remaining $25,000 of our combined $59,496 in debt back in 2010, as well as studying how others have paid off their debts for the last 8 years, I can confidently say that my money knowledge has grown. 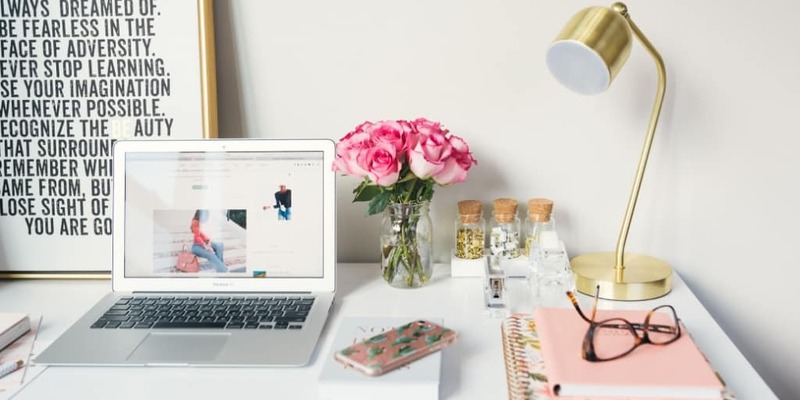 So I thought I'd take the chance to put my current self − warts and all − back into my old position of being in debt, and show you what I would have done differently so that you can learn how to manage your money even better. You know, in a “I wish I was your age, but know what I know now about debt repayment strategies” sort of way. Amy at Map Your Progress came along well after we were through our own debt repayment strategies. And wow she came up with an awesome idea to help all future debt payees to come. In a swirly, debt-free nutshell: while Amy was in $26,000 of credit card debt payoff mode, she decided to keep herself motivated by creating a visual swirly map of her progress. Each swirl was worth $100, so every time she sent in a payment, she would get to color in the corresponding amount on her progress map. In the end, she created a work of art…and a debt-free life! 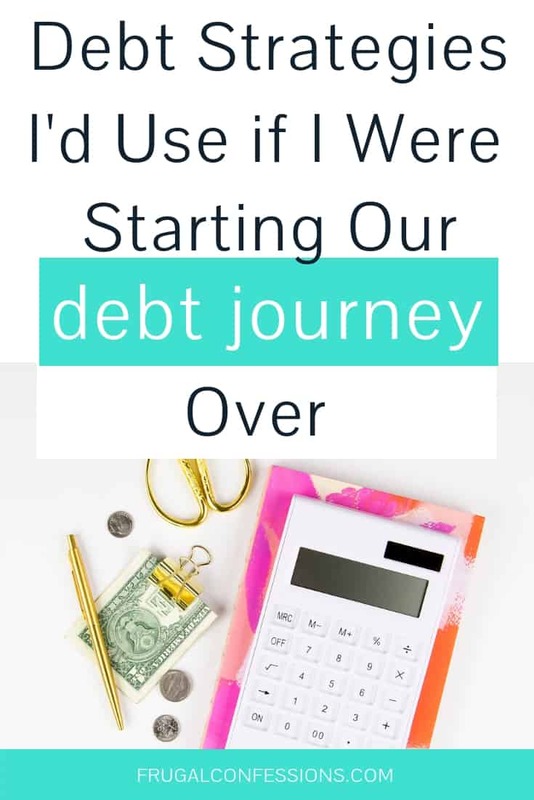 Not to mention she now runs a biz based off of her progress-mapping creations..
Psst: check out lots more debt repayment strategies and inspiration on my Pinterest board for the Debt Bustin' Challenge. Yes, you can still take part. I'm all about strategy with your money, and with my money. Part of my debt (the largest part) were student loans. So one thing I would do differently today is to figure out how much interest I would pay under the various student loan repayment plans in the period just after graduating college. Because in those first few years after graduating college, you can make the biggest dents in terms of paying gobs of less interest overall. 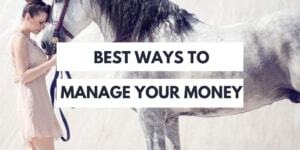 But you need to know which loans to send the extra payments into and overall how to manage your loans (I don't know about you, but I had about 7 different loans to send money into). The answer might sound simple enough − the loans with the highest interest rate. But doing something like consolidating a small-amount but high-interest rate loan (say, $1500 loan at 9% interest) into several larger-amounts, but smaller-interest rate loans (say $17,600 with 2.5%, and $5,000 at 5%) is going to blow your interest payments out of proportion. 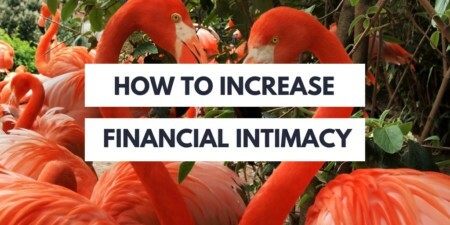 Consolidating those two together will raise the interest rate on the larger amount of money, causing you to pay much more in interest over time. (Strategy in case you're in this position: pay off the smaller loan with the high interest rate by itself and consolidate the rest). You can use this student loan repayment estimator to tell you the information about your own student loan debt repayment strategies. I recently talked about this, but it's worth mentioning again (hindsight is 20-20, right?). In order to get ourselves out of debt and cross that finish line, we decided to gut our $7,600 worth of savings. I think we had a little left afterwards, but not much. The fact is, we got lucky. Lucky that something else didn't happen to us that would have sent us right back into debt, or worse, without a way to pay for something. You see, while you're getting all gazelle-intense like that, you're really exposing yourself to the wilds of Africa. Which is precisely what we did. 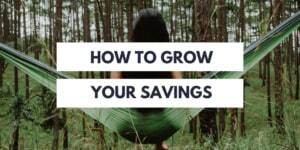 It worked out, but now that I'm a bit older and wiser (and have a 19-month old), I think I'd not be so fast to gut our savings. Instead, I'd beef up the emergency fund savings to over $1,000 ($1,000 is what's recommended by Dave Ramsey while you're gazelle-intense). Probably to about $5,000. Then anything over that I'd feel more comfortable sending into our creditors. Well, there's my list of three debt repayment strategies I'd use today if I were back in the debt payoff journey. Are you in debt payoff mode, closer to becoming debt free? Out of it? I'd love to hear what you would do differently if you could do it all over again. A great question you might have thought about yourself is how can you free yourself from debt. I think this question goes wayyyy beyond just the numbers. Debt can be this monkey on our backs, this chain around our necks, and a seemingly-icky place to be at the moment. It is stress-inducing, anxiety-producing, and just makes you want to curl up in a corner to the dull tunes of a television show. I know, because I used to be in debt myself. I also know because these are some of the very words you all used to describe your debt situations in the survey I offered last November. Many of your responses were what most of us would consider typical for people in debt, such as feeling stress, living with fear, and dodging creditors at all points of entry into our lives. If you really want to free yourself from debt? You need to start the process NOW. Even while you're in debt. I'm talking about continuing to enjoy your life, despite being saddled with debt. Because in the time vs money debate? Your time is your most precious resource. And you don't want to spend it feeling miserable. In that survey, there were two responses that were radically different. To the question, “How is Debt Affecting Your Life,” two people answered in very optimistic, inspiring ways by essentially saying that even though they felt down about it from time to time, they did not let it get in the way of their overall quality of life. That is two people out of 50 total respondents. What does this say to me? The number of respondents is too small of a sample to write up a paper with any conclusive evidence. However, from being in debt myself and from the answers provided, I can tell that debt is sucking the enjoyment out of many lives. So how can we come back to enjoying our lives again, despite our debt loads? Confront, Confront, Confront: If there is one thing I have figured out in my short thirty years on this earth it is this: something is always scarier in the dark when you have no idea of its boundaries, shape, or characteristics. Many people’s instinct with debt and other difficult challenges is to hide and ignore the situation. At least you know the situation that you find yourself in now, right? It’s comfortable. The unknown is uncomfortable, and it takes courageous people to walk into it. But a little known fact is that confronting something head on—finding out each creditor that you owe, interest rates, the amounts, and debt payoff date—will bring down your stress and anxiety levels significantly. When Gail Vaz-Oxlade goes into people’s homes on ‘Til Debt Do Us Part, at the first on-camera sit-down she runs through all of the honest, and oftentimes ugly, numbers. It’s typically a screen full of negatives, with a total equaling more than the sum of the couple’s annual salary. Many times the people are completely shocked because they likely had never done so themselves. Some cry, others laugh nervously. But then something amazing happens: they have motivation to do something about it, and for the first time in a while they are filled with some hope. Have Faith and Gratitude: Faith and gratitude will keep your mindset positive, and keep your thoughts out of the endless negative chatter that oftentimes surrounds debt. Having faith gives you hope, and allows you to dream again. Having gratitude makes you thankful for all of the wonders in your life, which truly helps to lighten your mood. Each of these positive feelings will likely open your eyes to ideas you had not thought of before. Do Not Always Forsake the Present for Your Delicious, Debt-Free Future: Everyone looks forward to the day when they can finally declare themselves deliciously debt-free. People call into Dave Ramsey’s radio show all the time and you can just feel the tension over the airwaves from the exhilarated person(s) who can’t wait to yell out, “We’re Debt-Free!!! !” Trust me, these are precious moments. We declared our own debt freedom from $25,000 on September 1, 2010. The promises of this gorgeous day are so seductive that it becomes easy to only go through the motions of living in the now without really living. Do not wish your life away, whether you are chained down with debt or not. You may live to regret the five years you spent in a holding pattern, and the taste of that eventual debt freedom may be more bitter than sweet. Be Social Anyway: One of the surprising and heartbreaking comments received from several people is how their debt has cut them off from relationships and from being social by either finding new friends or spending time with old ones. Sure, you may not be able to go out to posh restaurants anymore, or meet up with a group of people for drinks. But what is stopping you from meeting up with a buddy to go for a run? Joining a free group like knitting or playing cards or a book club that meets at someone’s house, admitting to your old circle of friends that you just don’t have the funds to splurge right now but would love to continue hanging out with them? Realize that it is likely you have friends and relatives who are in the same boat as you. Debt should never be a reason to become a hermit. Realize the Lessons You Teach Your Children and the Time that You Spend with Them are Far More Important than the Things You Buy Them: I have few items leftover from my childhood that I brought into my adulthood: the thesaurus my aunt bought me in 7th grade, the children’s book my great-grandmother typed for me with me and my sister as the main characters, two scrapbooks from the year I was Chester County Dairy Princess. Yes, I treasure these belongings. Out of all of the Christmases and Birthdays of my youth, I can only recall a handful of the actual gifts that were bought for me. What do I remember most? Playing badminton in the front lawn with Dad, feeling happy and joyous around the holidays when all of our family would gather, playing scrabble as a family on vacations, going to my great-grandmother’s pool with my mother, sister, and brother. These are feelings, moments, and experiences, not gadgets, electronics, or things. And these are what I will carry with me for the rest of my life. You can do the same for your children, regardless of your current financial situation. Many of us will spend decades getting out of debt. But really, we should look at these decades as not getting out of debt, but as living with debt. It’s already caused financial havoc, why allow it to cause more havoc? What is in our control is to continue living our lives despite. Don’t allow debt to ruin relationships, take away the trust that we have with one another, or forsake those decades by saving up all of the living we want to do for some future date. Life is now, pieces and all. So let’s make the most of it. One more thought — the debt free lifestyle. YOU are going to make it to this land of milk and honey one day (and, of course, you should still be happy with your life in the meantime! See the section above). My husband and I have been debt free (except our mortgage) since September 2010. From living the debt free lifestyle (though, with a mortgage) for the last 8 years, I'd like to give you a few tidbits about what it really is like. Your debt-free vows will get tested: We made a vow to never go back into debt again, once we had gotten out from under it. And yes, our debt-free vows have been tested over, and over again. This is mainly due to the second point here. You have to get okay with coughing up large amounts of money from savings: Since we made that debt-free vow, life did not stop happening. What I mean is, we've had to shell out thousands of dollars for home repairs, vehicles after they were flooded in hurricanes, and all kinds of things that cost a lot of money. That money had to come out of our savings. And I have to say — from a very grateful heart — that it is hard to let go of cash when it's in cash form! Your cash flow opens up: Suddenly, you have more cash flow than you did before because it's not going towards debt. We had an extra $950/month open up because that was what we were sending to our creditors to get out of debt extreme gazelle fast! My suggestion for you is to use that new cash flow for something big so that you can continue to meet your financial goals. Like…send it into your mortgage now, or directly to savings (see the second point above). You can read more about the debt free lifestyle here.